the local list: Blaze is opening in La Habra - but here's the good news, FREE PIZZA! Blaze is opening in La Habra - but here's the good news, FREE PIZZA! For those of you that haven't tried Blaze, you should check it out this weekend. 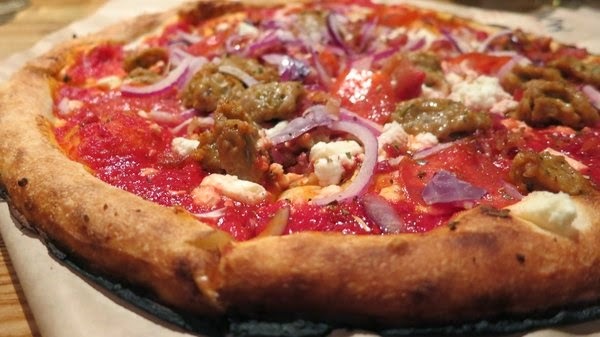 In fact, if you want to drive to La Habra, the restaurant is giving away free pizza all day on June 28 - THIS Saturday! Free. Pizza. Guys. Free. 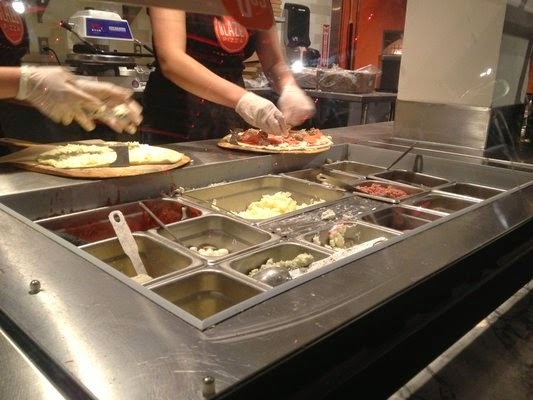 The concept behind Blaze is fresh, fast and tasty pizza you personally create. Think Chipotle but pizza - you get to pick your toppings, your sauce, and then wait for it to cook 3-4 minutes before you can dive in. It's thin crust so if you are looking for something heavier, this isn't your place. If it were up to my boyfriend, he would eat this for dinner every night. I tend to like thicker crust pizzas because it feels more like a meal, but for convenience and something other than Chick-Fil-A I recommend trying it.